This might seem like the future dreamed by the Jetsons with a Back To The Future scenario or even further back to the dreams of Jules Verne. After decades of planning, dreaming and executing, a company finally has plans to commercialize a flying car by the year 2017, which is only 24 months away. Slovakian company, AeroMobil had last year shown its latest prototype which took the form of an elongated vehicle which seemed road-ready and had stowable wings that enabled it to navigate through city traffic and airspace by landing and taking off from airports all around the world. 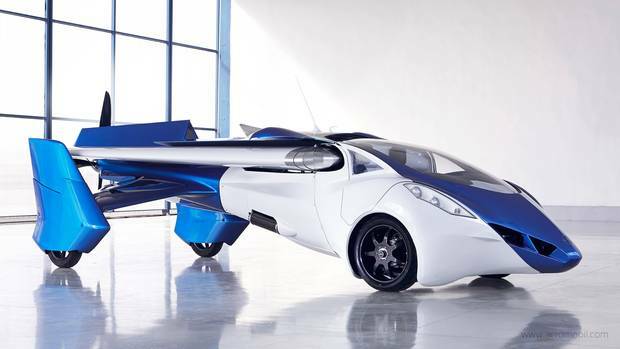 The latest model, knowns as the Aeromobil 3.0 was revealed in October 2014 in Vienna. In 2015, at a South by Southwest event held in Austin Texas, the CEO and Co-Founder of the company had stated that the company intended to commercialize the flying car soon. Along with this decision to commercialize flying cars comes a more crucial planning and execution. The company is now putting all resources at best use in order to scale fast enough and to build teams in making their plans of announcing the first flying roadster by 2017 successfully happen. The company does not only aim to show that the blend between a car and plane is possible, they wish to show that it is possible to market such a product to the public. Vaculik believes that his company’s product will initially appeal mostly to fans of luxury cars and flight enthusiasts. The approximate price tag set by the company would range between a latest offering from Tesla Motors and the price of a small plane.